Relaxation on the "Grand Bleu"
The ULM base in Torreilles is one of the most important in the south of France! The imposing metal hangar in the "eiffel" style that protects the fleet is the structure that was formerly at the Ambérieu-en-Bugey aerodrome... the site visited by a certain Antoine de Saint-Exupéry. 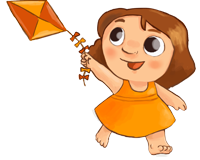 An air of "Little Prince " reigns over the place. The first signs of jazz in the Torreilles commune date back to the 1920swhen the "Exotic Jazz" group, basically made up of village youngsters, showed the people of Torreilles this new, free and rebellious music straight from the United States. Claude Blazy, alias "Monsieur Cinéma", a schoolteacher in Torreilles from 1952 to 1985, has transmitted his passion for arts to numerous generations of young schoolchildren, and especially his love of jazz. In the late 1990s, the authentic side, the charm and "the particular atmosphere" of Torreilles brought a large number of artists to the heart of the town. In these fertile lands of creation, the commune developed its own jazz festival. In 2002, the festival was taken for baptism. 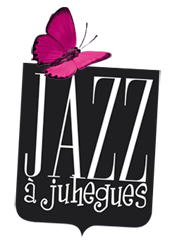 It was to be called "Jazz at Juhègues". In very little time, prestigious musicians "baptised" the prestigious walls of the Juhègues site with their enchanting notes. An eclectic, popular and quality festival was started in 1988 by the late Claude Blazy, monsieur cinéma of the program by Pierre Tchernia, the "Tous Yeux, Tout Torreilles" festival is now in its 25th edition . Since its beginnings, our "place in the stars " has received numerous artists: Richard Anthony, Gloria Lasso, Hervé Vilard, Georges Moustaki, Christophe, Michèle Torr, Serge Lama, Nicole Croisille, Gérard Lenormand, Michel Delpech, Marie-Paule Belle, Claude Barzotti, Nicoletta, etc. Set out to discover the heritage of our true Catalan village! For nearly 2 hours this free guided tour will reveal the historical, artistic and cultural heritage of our village: church, ancient streets, site of Juhègues... The tour ends under the sign of conviviality with an terroir aperitif in the chapel park. In the spring, discover our resort "in the colours of nature ". A free guided cycle tour will show you the particular history of one of the last protected wild coastal areas of our region (history, architecture, natural media, etc.). Come with your own bicycle and helmet. A restful site magnificently restored by the commune, "Juhègues" has become one of the most emblematic places of our department. From spring to autumn, the site is open to the public and free visits (free or guided) are proposed by the tourist office in accordance with the association in order to safeguard the townâ€™s heritage . These visits will allow you to discover the history of this millenary site, a true jewel ofCatalan architecture . Possible visit out of season by agreement. The place is also host to certain religious celebrations during the year (Christmas, Assumption, Easter Monday mass...) and numerous festive manifestations (Easter Gathering, Flower Offerings, Jazz festival, Estiu Musical...). Peinture / dessin enseignement toutes techniques, tous niveaux essentiellement pour adultes. 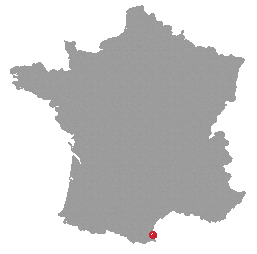 Préparation aux écoles d'Arts, stages d'art contemporains. St Jeanâ€™s Bonfires are an ancestral tradition . This is an evening of parties held on 23rd June , the day of the summer solstice . Each village prepares a small bonfire which it lights at nightfall with the flame brought down from mount Canigou. This "rite" marks the passage of the summer solstice and characterises the opening to the other, the opposite of the winter solstice (Christmas) in which people give more importance to the family core. The fire of the Canigou is a tradition dating back to since 1964. It is still the same flame that burns the great Canigou bonfire at the gathering. This party is accompanied by terroir products and the bouquet of St Jeanis offered, which comprises four specific plants picked on the morning of the 23rd. Tradition says that this is one walnut leaf, one hypericum, one xeranthemum and one stonecrop. A veritable ode to fraternity, under the cover of Catalan tradition , the Easter gathering each year brings together more than 500 guests around the Juhègues site. Following the traditional mass, profane and believers share the cup of friendship around "sardanes" (traditional dancing and music played by a "cobla"). Following this convivial moment, friends get together for a shared meal. "Grilling areas " are provided by the town. In the afternoon, dancing entertainment is held on the green theatre. Apart from the "special witches" story time for Halloween and its traditional Christmas show, the Claude Blazy hybrid library offers sessions of "Tales and music " in collaboration with the Perpignan Conservatory. Children therefore have the chance to listen to original stories to the sound of the rhythms of the guitar, the flute and even the viola, performed by the pupils of the Conservatoryâ€™s Salanque branch . So come into the hybrid library and get carried away by the words... and the notes... ! Several times a year, local authors organise a meeting at the Claude Blazy hybrid library to present their latest creations in a talk and/or simply a meeting. With their explanations of their lives as writers, a great chance for everyone to share a time of conviviality in the warmth of the hybrid library. Claude Blazy was born in Torreilles in 1930. A school teacher in the village from 1959 to 1985, he rose several generations of Torreilles townsmen in the cult of beauty and style. An artist himself, and a lover of the 7th art, he was given the title of "Monsieur Cinéma" in 1969 after 10 victorious weeks on the famous Pierre Tcherniashow. When he retired, he travelled the world and served his village by dreaming up the "Tous Yeux, Tout Torreilles" festival and other events that make Torreilles a village that is "different" from the rest. Sadly he left us in 2010. 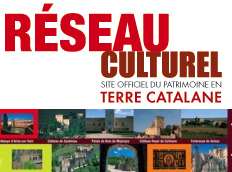 Terre Catalane (Lands of Catalonia) seeks to develop quality cultural tourism by maintaining the rich heritage of Catalonia.